Does your Cadillac need service, and are you looking for an auto repair near Covington, Maple Valley, and Black Diamond? If your answer is yes, then look no further than the team of auto mechanics at Valley Automotive Repair & Electric! Our team of technicians are ASE-Certified, and our facility is an ASE Blue Seal shop. To achieve such certifications, we had to pass meet and exceed several standards. Our auto mechanics continue their education with an additional 40 hours of training each and every year. In other words, we are simply a quality shop. 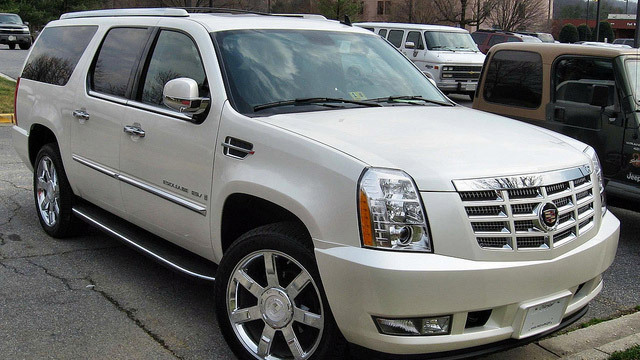 When it comes to the service of your Cadillac, it is important not to cut any corners. Your Cadillac is luxurious vehicle, but to make sure your vehicle stays that way, it does require routine service and maintenance. Our team at Valley Automotive Repair & Electric are ready and willing to keep your Cadillac cruising down the streets of Covington, Maple Valley, and Black Diamond. With our 30-month/30,000-mile warranty, you can have peace of mind in the quality and reliability of the services our team performed. "Bryan shows extreme integrity and kindness. Always willing to help in any way he can and always taking great care of my vehicle problems." -- Mandy N.
Valley Automotive Repair & Electric should be your first choice for Cadillac service and repair among shops from Covington, Maple Valley, and Black Diamond drivers. As an auto repair shop with a commitment to integrity and knowledge, you can trust our team to inform you each step of the way. Schedule an appointment today, or stop by at 17621 SE 272nd St, Covington, WA 98042.